My AirPods Series 2 arrived today. Engraved on the front of the case… “Five Ohhh…” I got them as part of my turning fifty years-old. I already have a pair of the series 1, but the upgrades seemed quite interesting. I have piles of better sounding options at my disposal, but in terms of convenience and pocket-ability, AirPods have almost no equal. I opened the case beside my phone and I connected them. It took all of about three seconds. And now each device I use has them in their pairing list. Pairing and connecting is lightning quick. That includes my Mac as well as iPhone. I use ToothFairy on the Mac to put a quick connect menu item up top. It’s a little too old for other solutions. It works a treat. Sound quality? It might be a little better. It’s difficult to say – but I have always thought that their audio quality was good enough for most things. The fit is the same – which for me is great. They never come close to falling out of my ears, and they are so light I forget I’m wearing them. “Hey Siri” is a wonderful addition and it works as well as advertised. 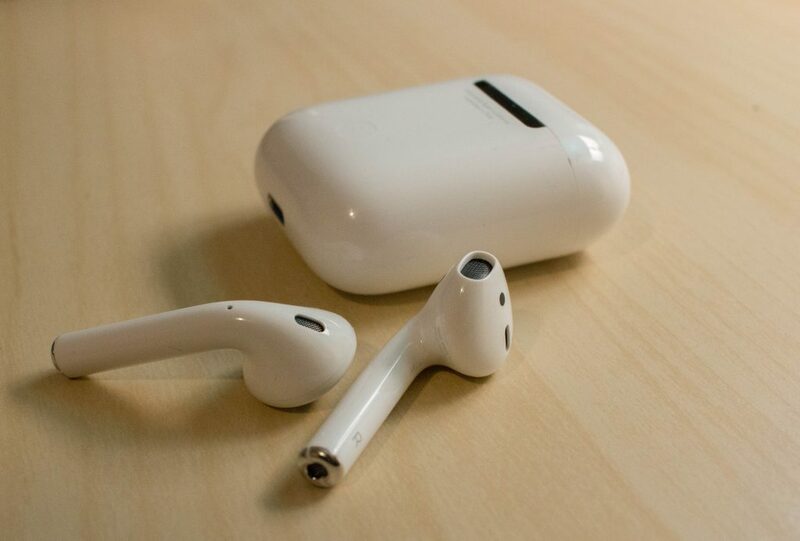 This frees up an AirPod for a different function. I have play/pause assigned to my left bud, and next track on the right one. Siri is good enough to basically run all through desired commands through it. For double taps, I tap my earlobe and that is enough to trigger the assigned command. I haven’t gotten to wireless Qi charging yet, but that will come later on after I’ve completed a healthy does of music listening. My MOS 6581 station. Yummy. So, in short, AirPods 2 are quite wonderful and a excellent upgrade of my first generation pair. Which my son would like to have now. Keep those grades up, my son, and we’ll see about that.